Things get interesting when you’re sitting around our Sonoma County kitchen with a friend from Tampa… who is into concocting fantastical cocktails. Like this Hendrick’s gin cocktail recipe… perfect for lounging about, playing cards or sharing laughs on the patio. 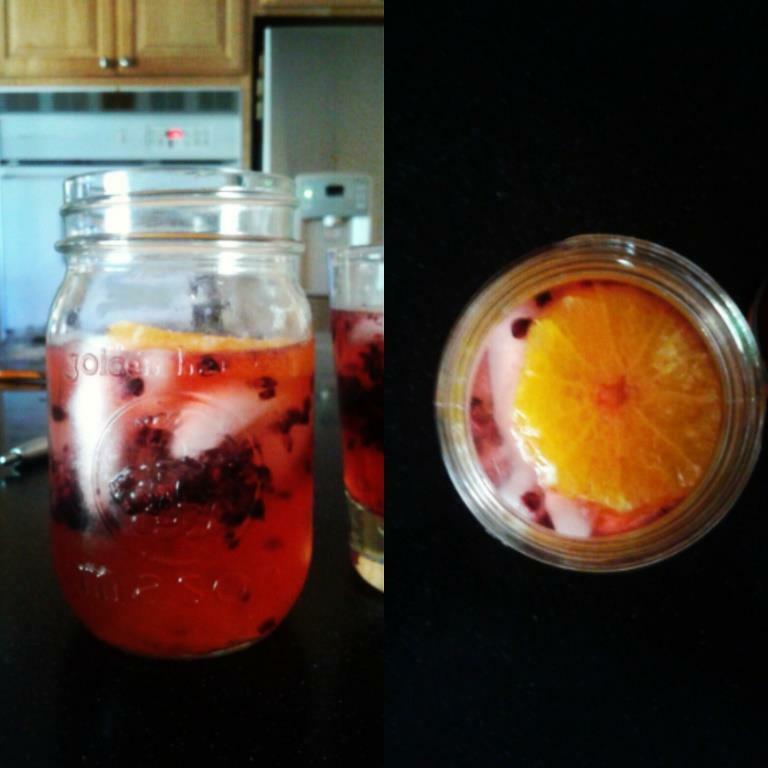 Recipe courtesy of Rishi Ramkissoon. This complex yet refreshing cocktail utilizes the deep and mellow flavors of blended Irish Whiskey in an unexpected way by marrying it with flavors from south of the border. I absolutely love the flavor of tamarind and the sodas created with this unique fruit. (Tamarind soda can be found in most every Mexican market.) Together, the ingredients combine to create unique flavors that won’t soon be forgotten. As the mercury falls, the days get shorter. And we could all use a tasty cocktail to warm our toes and lift our spirits. For the seasonal transition, I chose to update two classic cocktails (in dire need of makeovers) which best deliver optimal autumn satisfaction: The Stinger and The Sidecar. Both of these refurbed cocktails are simple to produce in your home or pro bar. This great drink shows the versatility of whiskey in cocktails and the spicy appeal of rye. The Algonquin is proof positivethat you don’t have to have a dozen ingredients to have a dozen flavors in a cocktail. It makes a great aperitif. The Algonquin was named for the New York Hotel of the same name. The Algonquin Hotel is best known as the host establishment for the Algonquin Round Table, a group of prominent writers, actors, and playwrights who met daily for lunch in the 1920s. The core group included Robert Benchley, Heywood Broun, Marc Connelly, Jane Grant, Ruth Hale, George S. Kaufman, Neysa McMein, Dorothy Parker, Harold Ross, Robert E. Sherwood and Alexander Woollcott among others. It is not speculated that this group sipped this concoction of rye, Vermouth, and pineapple juice but it’s hard to imagine them turning it down. An expected garnish to the cocktail renaissance is the great number of cocktail recipes being published in print, online, and on coasters! The up side is that more people are making cocktails at home as opposed to a decade ago. With exploration come the inevitable questions. At BevX our Cocktail of the Week feature is one of our top three weekly segments each week without fail. As you can imagine, we get a lot of questions regarding cocktail making. One persistent question — and a good one I might add — concerns the recipe itself. We are hardly the only publication to offer a recipe for a Mai Tai, Margarita, or Negroni. Occasionally a curious reader will ask why our recipe differs from another trusted source. “What is the right recipe for a Mai Tai?” is a common refrain. Unfortunately my answer is so vague, seemingly politic, and irresolute that it makes my teeth hurt. The best way that I can explain it is by making an analogy that many people can relate. “What’s the right recipe for jerk chicken, chili con carne, Bolognese, or coq au vin?” Surely great chefs across the globe don’t use the same exact recipe for these classic dishes. Does just one of thousands of award-winning chefs possess the right recipe? Of course not. Can Grand Marnier do cherry successfully? A review of their new cognac. The iconic liqueur Grand Marnier has determined to follow their successful holiday release of last season, Quintessence, with another limited release liqueur that is just now hitting the shelves of fine bars and retailers. While Quintessence was aimed squarely at the luxury market, their latest creation Grand Marnier Cherry is in reach of the brand’s core following. I also suspect that this delicious and intriguing addition to the portfolio is ideally crafted to attract the savvy bartender. 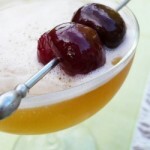 Read more: Can Grand Marnier do cherry successfully? A review of their new cognac. The Old Fashioned is a classic cocktail whose base spirit is whisky, most often bourbon. However, in the modern bar many variations exist including the use of rye, blended Scotch whisky, or brandy. Despite the many different twists, the Old Fashioned always uses a brown, wood-aged spirit as its base and the maraschino cherry is ever present. This version showcases quality aged rum as it too has an affinity with bitters and fruit, the two, key supporting players. Answers to many spirit questions like: what is blended whisky, difference between brandy and cognac, what is a bothie, what does bottled in bond mean, what is the angels share, what is aqua vitae, eau de vie or grappa? And other things you never knew you didn’t know. This classic drink has been a staple in cocktail recipe books for well over a century. The simple, but tasty “Collins” treatment of adding a fresh lemon and sugar to a spirit of choice will provide many happy cocktails hours at your home bar. Please promise to never buy those horrible and insipid Collins mixes! I love simple, classic cocktails. I’ll save you the “more is less” jargon and simply point out that the vast majority of classic cocktails rely upon four or fewer ingredients with a simple garnish. These classic cocktails have stood the test of time and have offered inspiration for thousands of new cocktails that are typically just a clever variation of the classic. With this in mind I aim to better acquaint you with three classic cocktails that you should know: The Manhattan, Daiquiri, and the Sidecar.